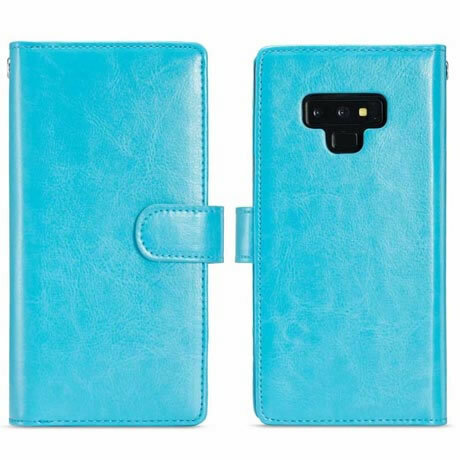 Free Shipping, Buy BRG Samsung Galaxy Note 9 Magnetic Detachable 2 in 1 Leather Wallet Case With 9 Credit Card Slots at Casemecase.com. 3) The soft case can cover the edges of both side. 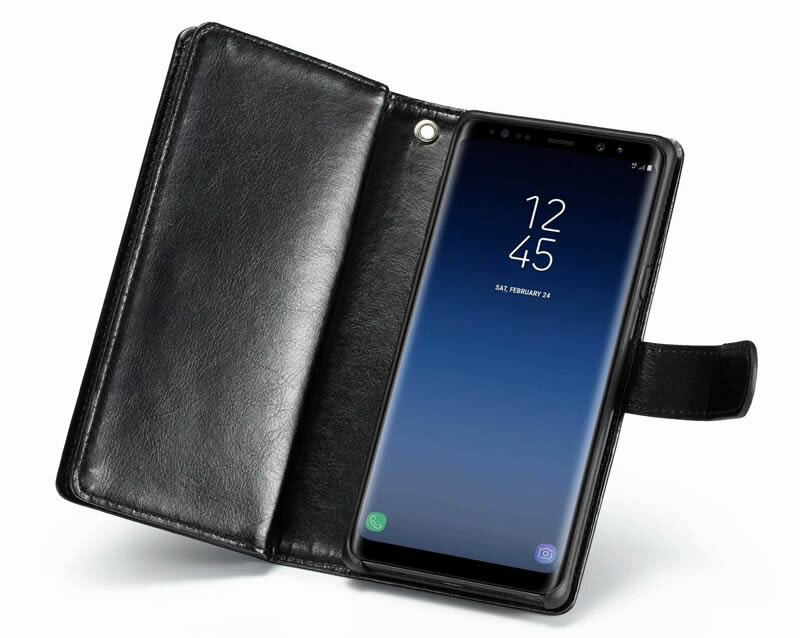 Help to Protect the back side and front screen. 4) Precise cuttings allow easy access to all ports and functions without removing the case. 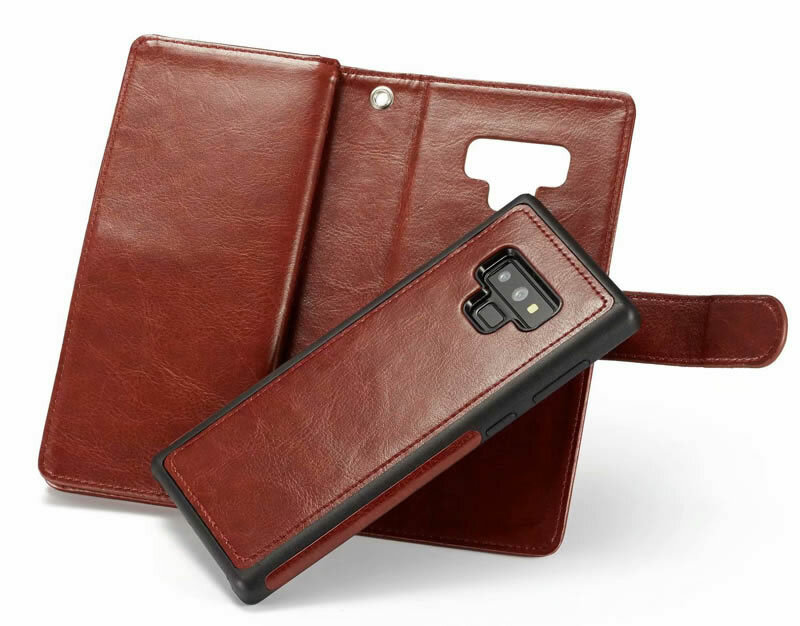 Precise cutouts, moldings and dust guards keep your touch ID, camera, speaker, ports and other functions fully accessible and protected. 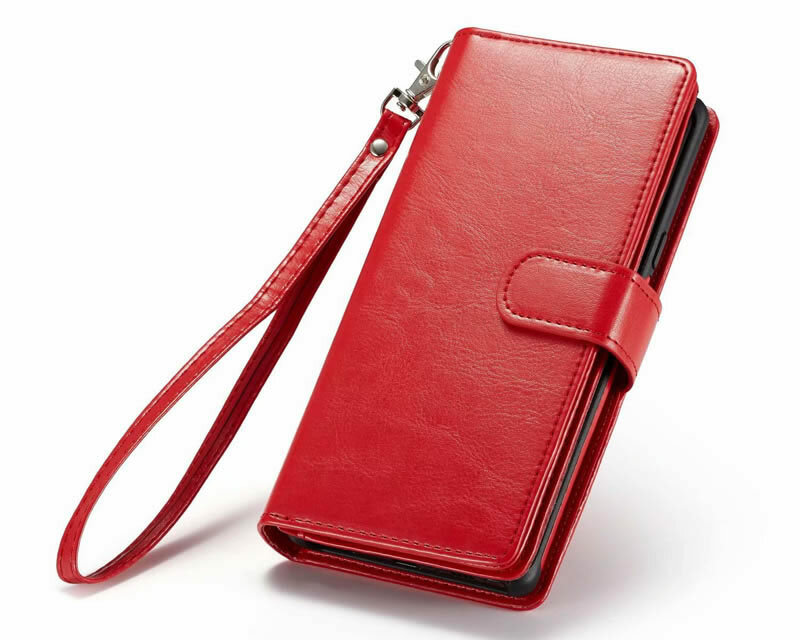 It comes with a removable leather strap that provides extra security when you go out. 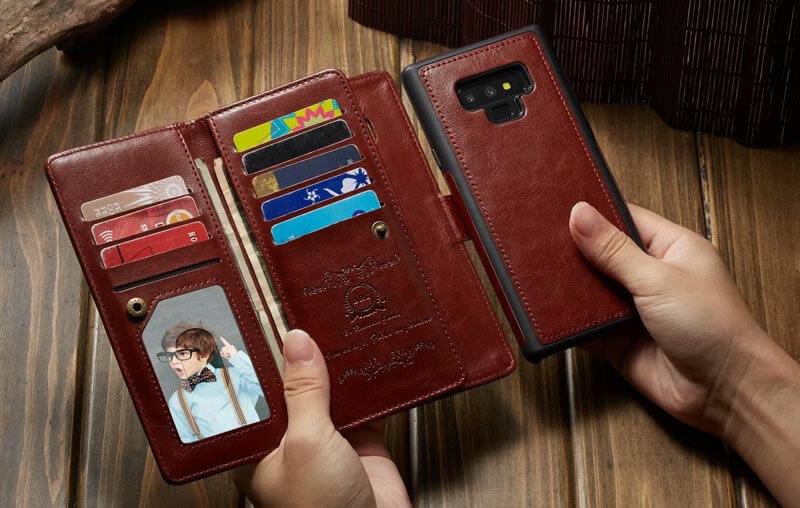 This wallet can store up to 9 credit cards,and also it consolidates everything of importance. 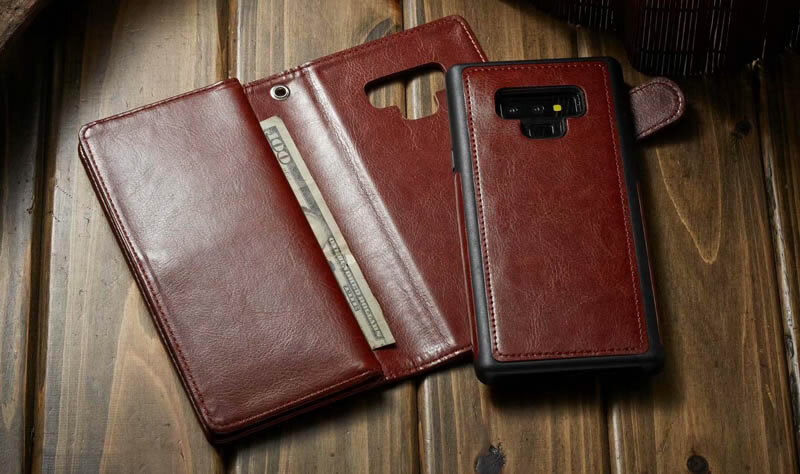 No need to carry both a phone and a wallet.